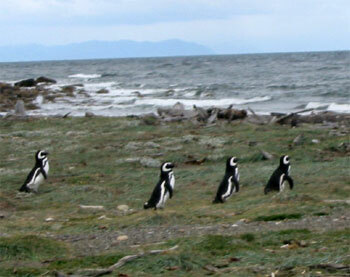 Martha reports that the penguins they saw were near Puenta Arenas, Chile. They are not the Emperor Penguins but a type known as Magellen Penguins. Their breeding grounds are in the dunes along the water and the whole area is VERY protected. 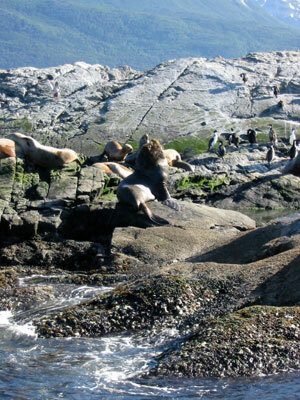 Sea lions along the Beagle Channel near Ushuaia, Argentina. 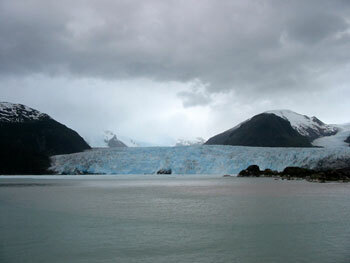 Glacier in the Canal Sarmiento near Strait of Magellen.